The AR-10 is the forgotten link between the old and the new breed of automatic rifles of the U.S Army. Designed in 1956, the AR-10 wraps a plethora of stories in itself. The AR-10 platform was later revived. The AR-10 is the progenitor of the AR-15, but it never became so successful as its successor. Nevertheless, a lot of AR-10’ are still in use today. Pertaining to its design, heavy caliber and length, the AR-10 requires special optic scopes. Here we’ll be talking about the qualities of a good AR-10 scope and how to choose one. We have also reviewed the best AR-10 scopes on the market to help you make a buying decision. So let’s begin. The AR-10 is a powerful rifle. Chambered with the 7.62/.308 round, the AR-10 has an effective firing range of 700 meters combined with a 3.6x telescopic sight. An AR-10 with a 21-inch barrel, when combined with a 9x+ scope, can shoot accurately up to 1100 yards or more. The AR-10 can be used for short range, medium range, or long range shooting, and each of them requires a different scope. If your objective is to take short range shots (within 400 yards or less), a smaller 1x-4x scope will be good for you. Furthermore, if you are aiming for medium range targets (400 - 700 yards), a nice 4x-9x scope with an objective of 30-40mm will prove to be effective. For taking shots longer than 700 yards, you must employ a larger scope with 9x+ magnification and an objective lens of more than 40mm. A large objective lens ensures that more light passes through the aperture, thus producing a brighter image of distant targets. Eventually, the AR-10 is a versatile rifle. You can use it for short, medium, and long range hunting, thus you must use scopes with variable magnification, probably in the 3x-12x range. Ensuring that your AR-10 is ready to shoot any target at any reasonable distance. There are a few factors you must consider before buying a new rifle scope. Everybody has their own shooting style and preference which makes buying scope a matter of personal discretion. Let's check out these factors one by one. The first and foremost thing to look for in a scope is its magnification. As you already know, the magnification of your scope must correspond the range you intend to shoot for. A versatile solution to this problem is choosing scopes with a wide range of magnification like 3x-12x. But eventually, it will cost you a bit more. The next factor is the objective lens diameter. Scopes with large objectives are clear and provide succinct sight pictures even at a long distance. Moreover, such scopes are good for shooting in low light or hazy conditions. Also, remember that large lenses are bulky. Another important factor is your intended use. If you use your AR-10 for activities like hunting, where the scope gets exposed to harsh conditions. You must generally avoid using very expensive and complicated scopes. Additionally, your scope should be light enough, so it doesn’t add much weight to your rifle. Furthermore, the focal plane of your scope is also an important addition to the list. Latest scopes generally use a second focal plane, which means the size of the reticle changes with respect to the sight picture as you increase or decrease magnification. These features are very helpful, especially when you are firing long-range shots. When shooting with a scope, the reticle plays an important role with accuracy. 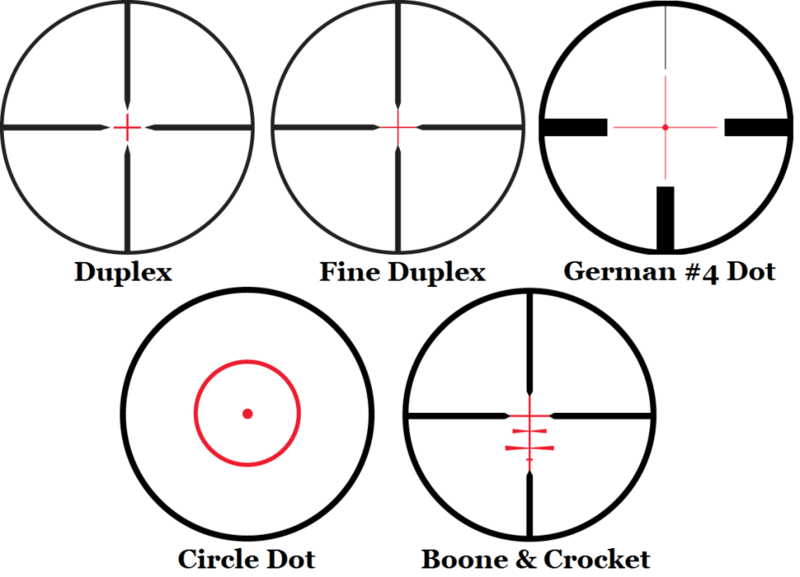 There are numerous types of reticles available on the market, ranging from mil-dots and mars sights to BDC and red dots. Each offer advantages, so you must take into consideration your personal discretion, use, shooting tactics and preference to choose one. Finally, the eye relief of the scope also plays an important role. Some scopes have adjustable eye relief while some are fixed. Make sure to check this factor before choosing an apt scope for your AR-10. Let’s take a look at some of our top picks for the best scopes for an AR-10. With each model, we’ll be diving into its main features then discussing some pros and cons. Nikon is a renowned brand when it comes to optics. The quality of their optics is unmatchable, and this scope is no different. The M-308 riflescope has a variable magnification range of 4x to 16x, making it suitable for a medium as well as long distance shooting. The scope has a large objective of 42mm, which allows more light to enter the scope, thus providing a brighter image. The optics are multi-coated, providing clear images at dawn and dusk. The one-piece mount has built-in 20 MOA slope. You can take this scope on field trips and hunting, as the scope is made from a single tube, making it lightweight. Additionally, the scope tube is nitrogen filled and O-ring sealed, making it shockproof, waterproof, and fog proof. The tactical style turrets offer quick adjustment for elevation and windage with quick zero resets due to the spring loaded design. The BDC (Bullet Drop Compensation) reticle has pre-marked dots to prevent you from making sight adjustment every now and then. This model weighs close to 1 pound, with a length of 13.5 inches, and 40 MOA max adjustment. Overall, this is a decent and dependable product from the renowned manufacturer Nikon. It has a lifetime warranty attached to it which covers its cost factor. The wide range of magnification and light weight make it more versatile. Good for all types of uses; short range or long range. This UTG scope from Leapers stands among the most advanced optic scopes on the market. Starting from the basics, the scope has a 3x-12x zoom with a 44mm objective and 30mm tube. The multi emerald coated lenses offer better light transmission, resulting in clarity. The scope is nitrogen filled and O-ring sealed making it shockproof, fog proof and waterproof. The zero locking and zero resetting turrets hold zero and allow for quick calibration with their easy controls. The parallax of the scope is adjustable from 10 yards to infinity using a side wheel. The scope has angled integral sunshade in the front to help spot targets in bright sunlight. Apart from all this, the most revolutionary feature of the scope is the EZ-TAP Illumination Enhancing System. The system allows you to change the color of the mil-dot reticle in 36 different colors, along with the basic red and green modes. Additionally, the 1-click high-tech illumination memory feature remembers the last color setting. Overall, the scope offers good value for money. 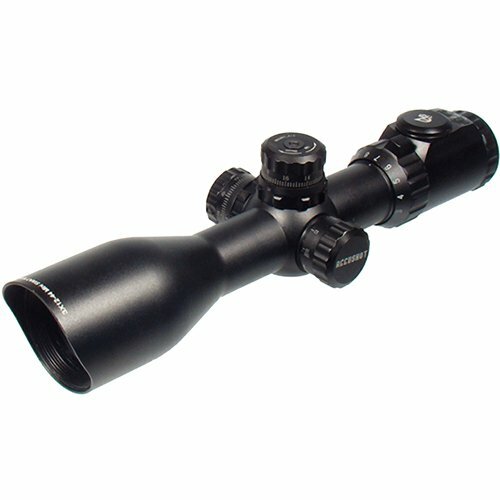 Overall, this scope offers amazing value for its price. The adjustment turrets are amazing, and the mil-dot reticle is perfect for sighting long range targets. The variable color settings for the illuminated reticle offer comfort and are also good for color blind shooters. The scope is sturdy with easy controls. The weight is a bit extra than its counterparts, but its features cover it up. The Vortex Diamondback is an exceptional scope for hunters. Made up from an aircraft grade aluminum, it has a durable and lightweight body. The 4-12x magnification makes it suitable for short, as well as long-range shots. The tube is filled with argon, making it resistant to shocks, fog, and water. The scope has a large objective of 40mm which delivers a clear sight picture. 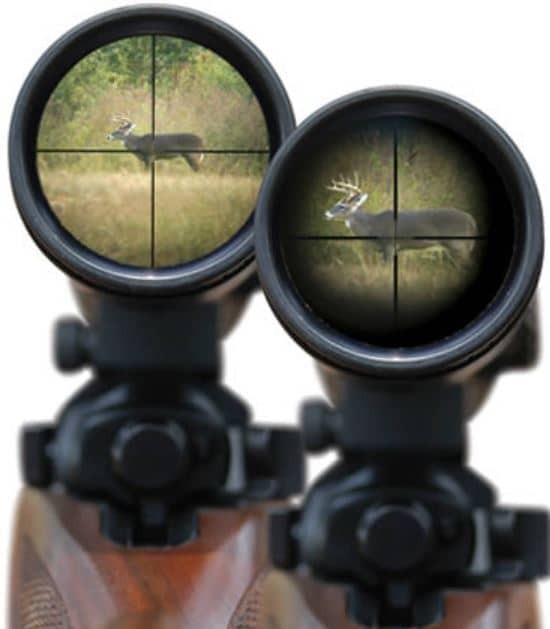 The scope is also helpful for hunting big game at longer ranges with your powerful AR-10. The adjustment graduation of the scope of ¼ MOA with a maximum of 60 MOA, is for both windage and elevation. The scope is superlight too, weighing approximately 0.9 pounds. 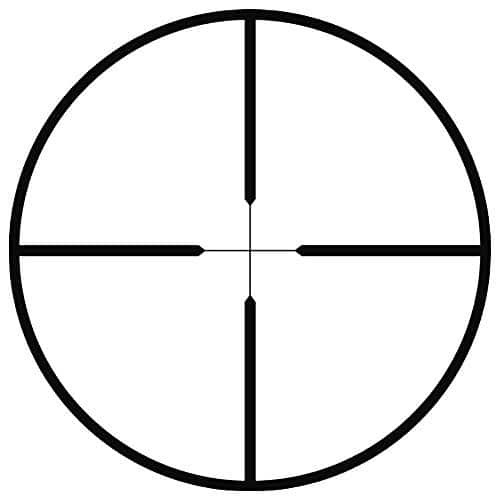 The Dead-Hold BDC reticle eliminates guesswork and regular turret adjustments for long range shots. 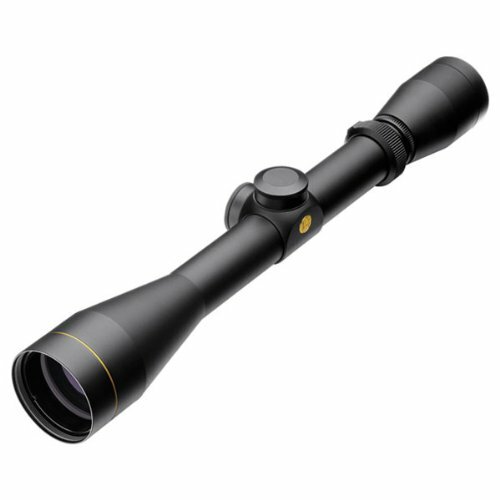 The Vortex Optics Diamondback is a sturdy and lightweight scope perfect for hunting and outdoor trips. 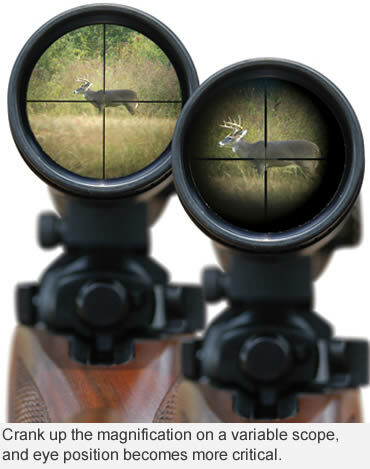 The scope can withstand heavy recoil and help you take down big game. The turret adjustments are easy and the dead hold BDC reticle helps in taking long-range shots. The only problem is the parallax adjustment available only for up to 100 yards. The Leupold VX-1 compact scope is suitable for short to mid range shooting, due to its limited magnification power of 3x-9x. The 40mm objective no doubt provides a clear and bright image under low light conditions. This is an SFP (second focal plane) scope with a duplex reticle, so you don’t face any problems when taking mid-range shots with your AR-10. ¼ MOA click offer adjustments of up to 52 MOA for windage and elevation. The multicoat lens system delivers a clear image too. The fast focus eyepiece makes it easy to acquire and shoot targets. The one-inch main tube is lightweight and fits most mounting rings easily. The scope is super lightweight at only 0.6 pounds. The Leupold VX-1 is a good scope in the lower price range. It's compact and durable to withstand AR-10’s recoil and can hold up against rugged use during hunting trips. The scope is good for short and medium range shooting and hunting too. It doesn’t have parallax adjustment and its limited range makes it not-so-worthy of long-range precision shooting. A good product for beginners. There’s been a lot of buzz in the rifle community as to why Trijcon VCOG’s are so expensive. The first and foremost factor is the quality of the VCOG riflescope. These scopes are designed for quick switching between CQB (Close Quarter Battle) and Long Range Shooting. The glass of a VCOG rifle scope is crisp, clear, and can withstand a bomb blast. It is waterproof and can be submerged up to a depth of 66 feet. There should be no surprise as to why these scopes are used widely by the Military and Special Forces. Coming to this Trijcon VCOG rifle scope, it has 1x-6x variable magnification, with an objective lens of 24mm. It features a First Focal Plane ballistic reticle, and has a maximum adjustment of 90 MOA (upon two full rotations). The reticle is illuminated and powered by a single AA battery and has adjustable brightness settings. The scope has a 4 inch constant eye relief through all magnifications. The Trijcon VCOG is a state-of-the-art riflescope widely used the the U.S Military and the Special Forces. The scope is tough, can be submerged underwater, and is good for both CQB and long to medium range shooting. The scope is good enough for your AR-10 to make it suitable for both self-defense and hunting. The price point is on the high end though, so you might have to check your wallet before buying it. The AR-10 is a powerful, durable, and accurate rifle, which can be used for long-range shooting. It is the precursor of the AR-15 and gives you a similar alternate platform for a power packed shooting. A good scope for the AR-10 must be durable, able to withstand recoil, and must have variable magnification. Eventually, your individual preferences, intended use, and budget play a crucial role when buying a new scope for your AR-10. 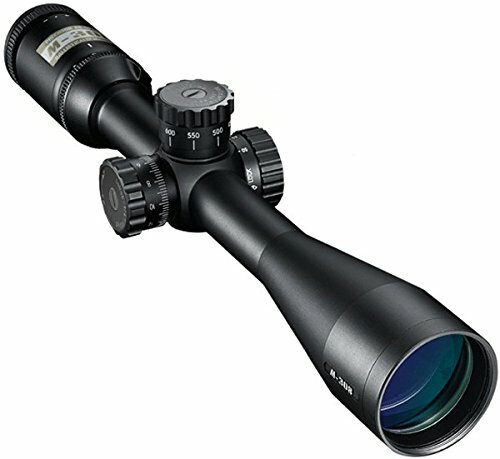 We hope this review has been helpful in outlining some of the top qualities to look for when shopping for a new scope. 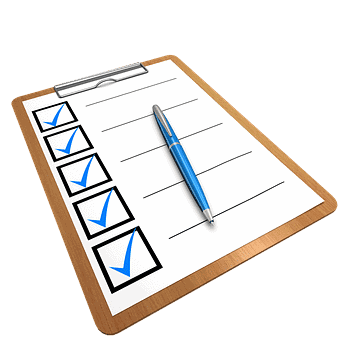 If you end up choosing a model from our list, be sure to visit us again after you've put it to the test. We'd love to hear how it held up!